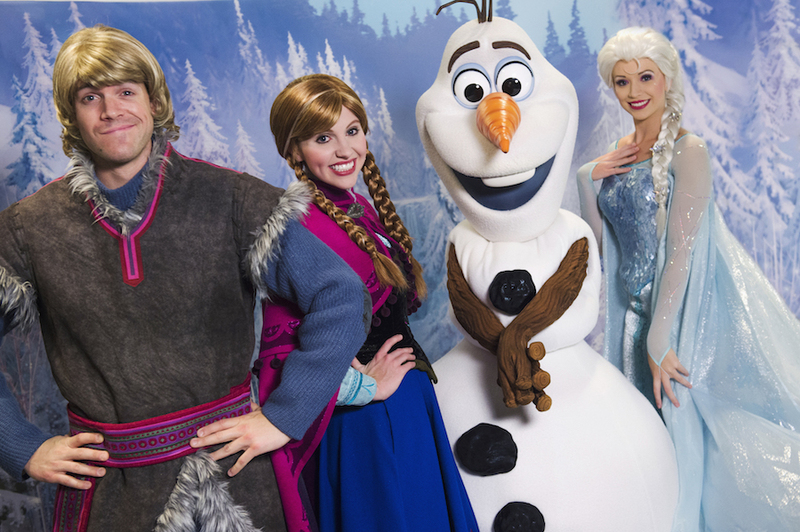 On select sailings this summer Olaf, Kristoff, Anna and Elsa will return to provide a Summer of Frozen Fun on Disney Cruise Line ships. 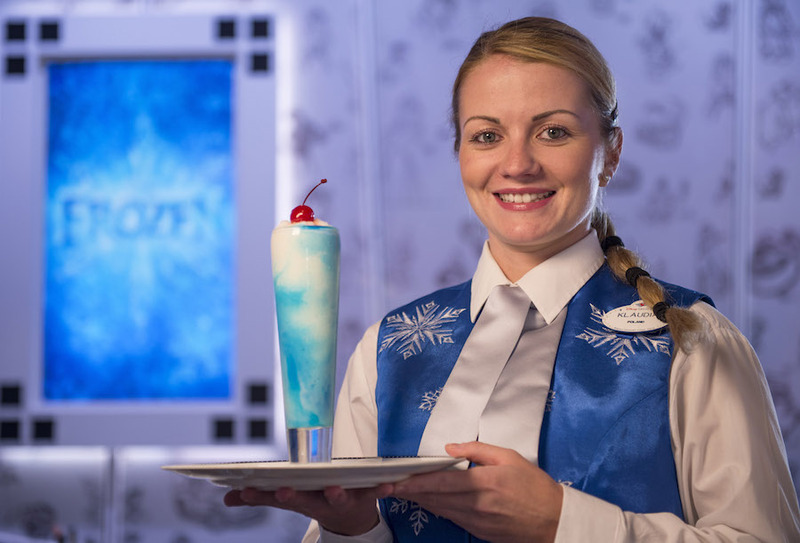 From May through July, on select sailings, guests on the Disney Wonder and Disney Magic will be offered unique experiences that will include a meet and greet with Kristoff. Kristoff doesn’t usually meet with guests due to his ice harvesting duties, but he will be available on these sailings. He will meet with Anna, Elsa and Olaf. Guests will be offered special items that are “inspired by traditional Nordic fare. ” There will also be specialty drinks and desserts to enjoy while you cool down from the summer heat that Olaf loves so dearly. For one day of your cruise, you’ll see the atrium lobby decorated with “frozen fractals all around” and sparkling icicles along the grand staircase. 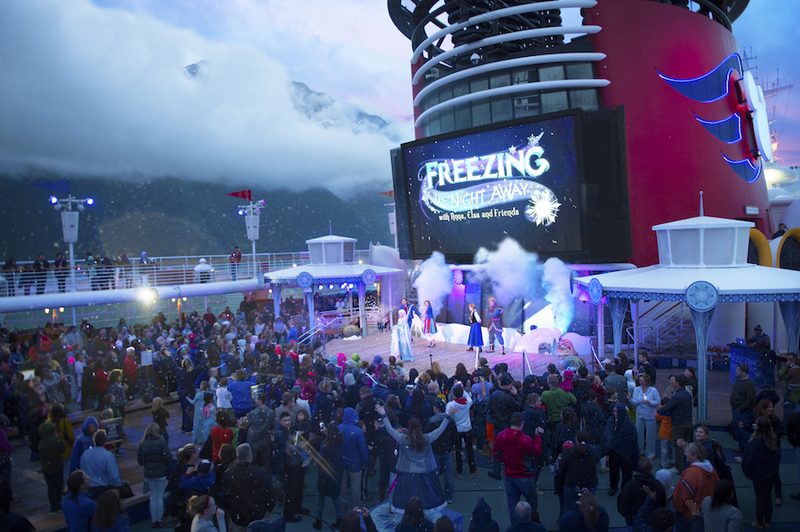 You’ll also be treated to a special “Freezing the Night away with Anna, Elsa and Friends” deck party. Little ones will enjoy a special scavenger hunt that is called “Anna’s Chocolate Chase” and traditional Scandinavian dance with “Oaken’s Maypole Swirl and Twirl”. 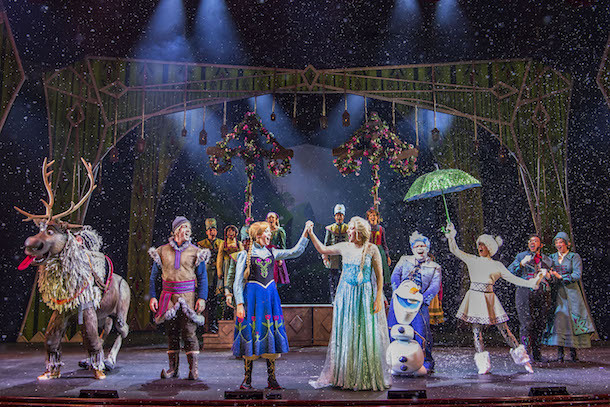 The Disney Wonder now features the new “Frozen, A Musical Spectacular” as a part of it’s year-round nightly stage shows. It’s an abbreviated form of the movie story told in grand Broadway fashion. Have they released the exact dates? We will be on the Wonder in June. Would love to meet Kristoff! 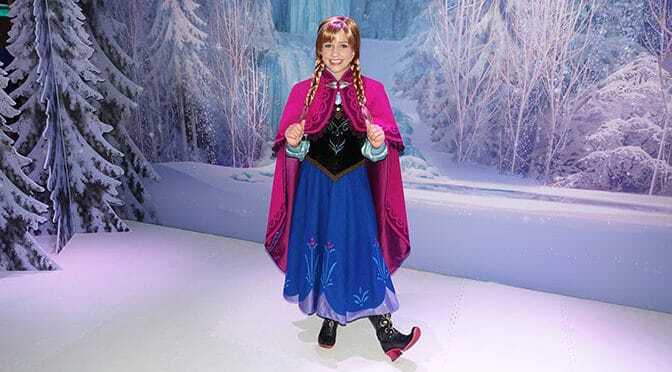 Day of Frozen Fun is only available aboard 7-night or longer Disney Wonder sailings departing May 1, 2016 through August 26, 2016, and on 7-night or longer Disney Magic sailings departing May 15, 2016 through September 17, 2016.